Australian shepherds are smart, exuberant dogs blessed with a great amount of stamina which allowed them to be the work-oriented dogs they were meant to be. With a past as a tireless sheep herder, these lithe and agile companions have lots of energy and drive which makes them excel in many doggy sports. While most people are able to recognize an Australian shepherd when they meet one, courtesy of this breed’s distinctive looks, there are several Australian shepherd facts that are just waiting to be discovered. 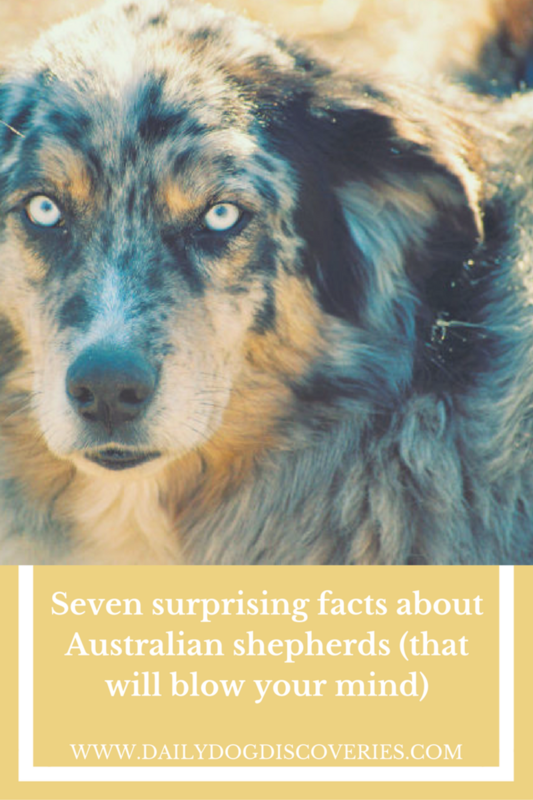 Here are seven surprising facts about Australian shepherds. We’re so used to dealing with many dog breeds named after their country of origin that we must assume than an Australian shepherd must come from Australia, right? Wrong. While the history of this breed is a bit shrouded in mystery, one thing is for sure: this breed wasn’t hopping around with the kangaroos. Instead, according to the American Kennel Club, the Australian shepherd likely originated in the Basque region of the Pyrenees Mountains somewhere between Spain and France. The breed’s misleading name may have likely derived from the Basque shepherds who traveled to the United States via Australia in the late 1800s. 2) But they Speak American.. Listen carefully when an Aussie barks, can you hear an American accent? 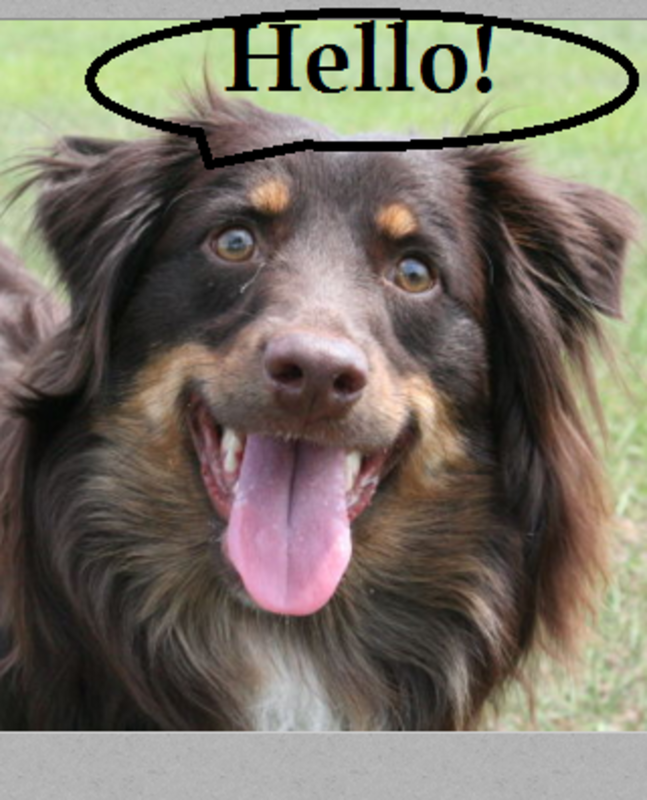 Turns out, the Australian Shepherd, as we know it today, developed exclusively in the U.S. This breed indeed is American as cheesecake and pecan pie. The breed developed in the 19th and 20th centuries as a versatile farm dog in the American west. A tireless sheep herder, the Aussie was seen relentlessly working in the Rocky Mountains. Their ranchers were highly impressed by how the high altitudes didn’t seem to affect them and these hard-working dogs kept going and going. Soon, ranchers in Boulder Colorado started breeding them attracting buyers as far out as California. 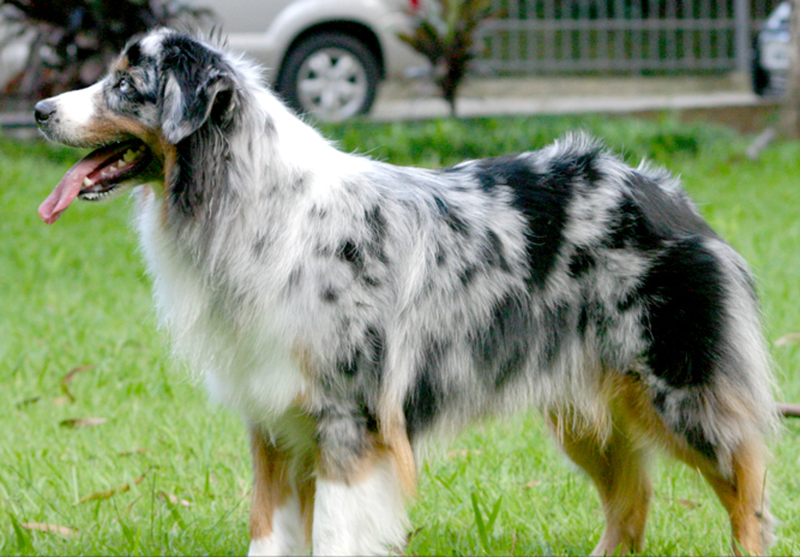 Aussies are known for their striking coat patterns which often come in blue merle (with mottled black patches throughout) and red merle (with reddish patches). Other coat colors include the basic black and red coat colors. According to the American Kennel Club breed standard, white body splashes, between withers and tail, or on the sides between elbows and back of hindquarters are means for disqualification. The merle coats are quite unique for the fact that they’re known for becoming darker with increasing age. While the merle coats are appealing, their patterns are associated with several health problems. To prevent passing hereditary disorders associated with the merle gene, breeding should be left to very experienced dog breeders. Australian shepherds have also quite interesting eyes. Their eyes may be brown, amber or of a crystal blue hue. 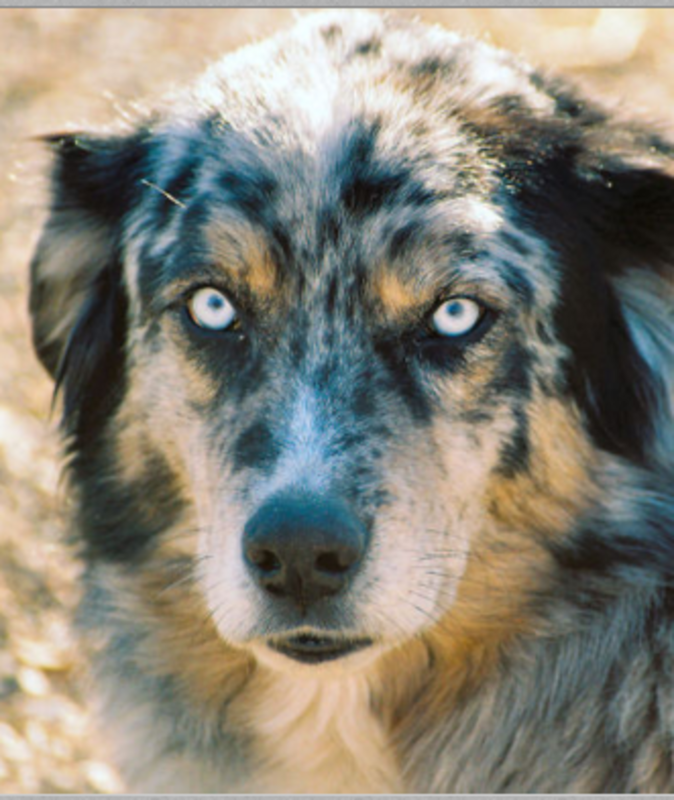 It’s not unusual to see some Aussies with one eye of a different color from the other (complete heterochromia) or eyes with flecks and marbling. Blue merles typically have black pigmentation on their eye rims while red merles have liver pigmentation. Unfortunately, the same gene that’s responsible for the appealing coats and eye colors is often responsible for many eye defects, according to Eye Care for Animals. However, a blue iris is not absolutely indicative of the presence of the Merle gene. To rule out eye problems, breeders should have their breeding stock evaluated by a veterinary ophthalmologist. The Canine Eye Registration Foundation (CERF) tests for heritable eye diseases in dogs. In the United States the breed standard calls for an Australian shepherd with a tail not to exceed four inches in length, whether it’s docked or naturally bobbed. According to the Australian Shepherd Health & Genetics Institute, one Australian Shepherd in five will have a naturally bobbed tail. 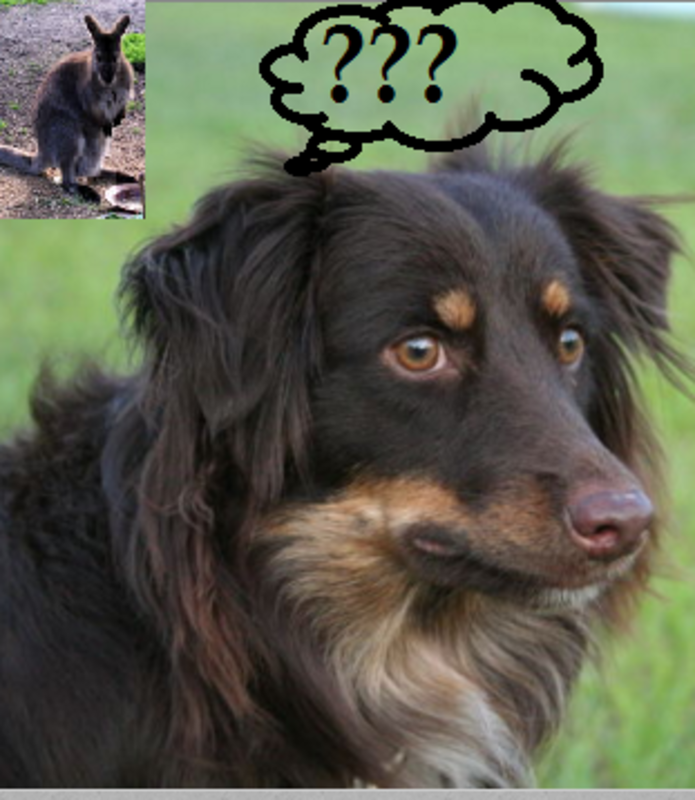 Breeding two Aussies with a naturally bobbed tail though is risky business. Like the merle gene, the naturally bobbed tail gene is dominant and several serious consequences are associated with having two copies of this gene. Affected puppies tend to die early and are reabsorbed. The Veterinary Genetics Laboratory now offers a test for detecting the Natural Bobtail gene so to assist breeders in identifying dogs that carry this trait. Aussies that have longer tails are often docked a few days after birth so to adhere to breed standard, but because several countries have already banned docking procedures, there are more and more Aussies being shown boasting their natural, long appendages. Aussies have been selectively bred to herd livestock, and as herding dogs, they may instinctively engage in livestock herding behaviors when they’re around moving stimuli such as cars, joggers and people on skateboards. Nipping at a person’s feet or heels is not something fun to watch, especially when the behavior is directed at children. 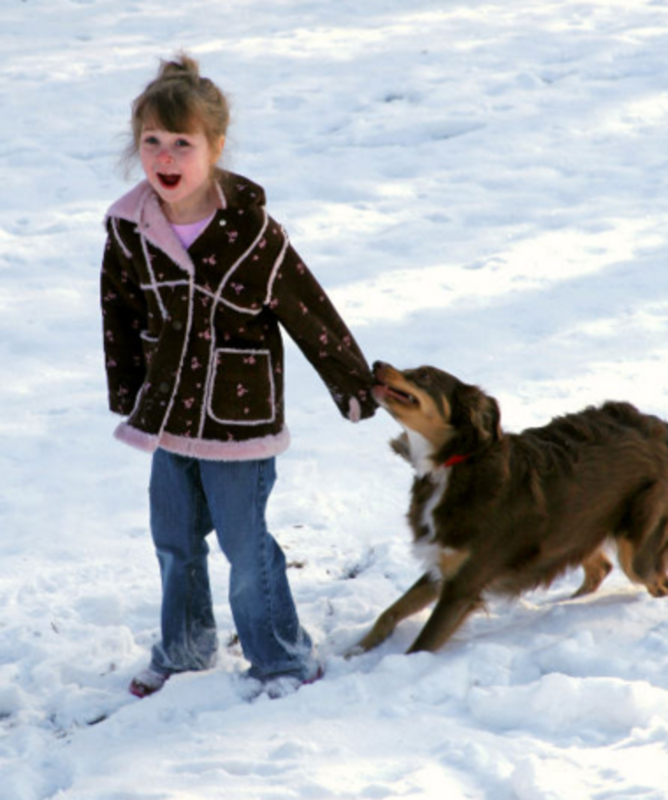 “Children are most likely to be on the receiving end of such nipping, especially when they are running around or playing vigorously” explains dog trainer and author Victoria Stillwell. The good news is that problematic herding behaviors can be “nipped in the bud” by teaching good bite inhibition from an early age and providing a good regimen of exercise and mental stimulation. 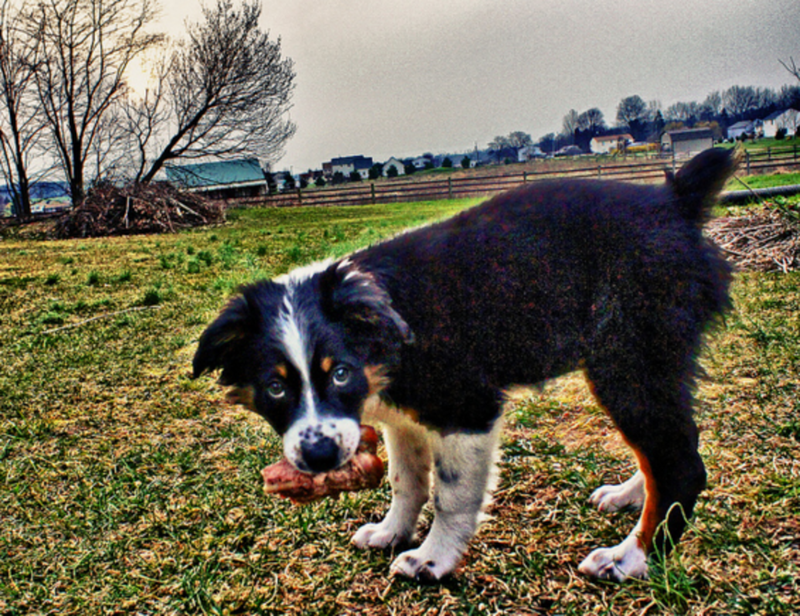 Herding behaviors can also be “redirected to more appropriate foci such as toys, games or stock,” suggests board-certified veterinary behaviorist Karen Overall. 7) But You Can Put Their Brains to Good Use.. When it comes to doing things, an Aussie is a total “braniac” breed who will excel in just about anything as long as you give him the opportunity to puts his sharp mind to work. 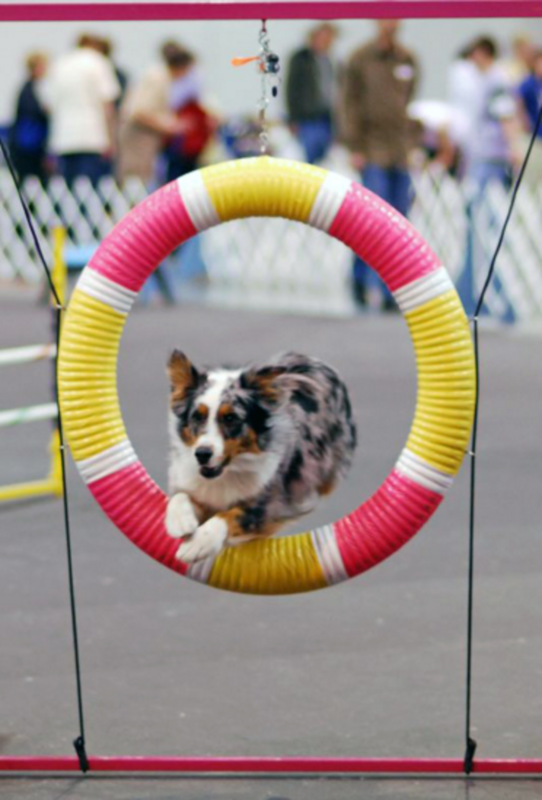 Obedience, agility, Frisbee, herding trials, Canine Musical Freestyle, you name it! This smart and focused breed has been selectively bred for quick decision making and concentration, so they benefit from owners who know how to provide their brain with a good workout, whether through interactive toys, training or a canine sport. Fail to provide sufficient outlets though and those idle paws will become the devil’s workshop. Your Aussie will find his own set of hobbies such as chewing through drywall, ripping the stuffing out of pillows and sofas, and turning your yard into something resembling Planet Mars (craters included)!